The Partnership on Sustainable Use of Land and Nature-based Solutions convened for the second time, hosted by Barcelona (read more about the kick-off meeting of July 2017 here). 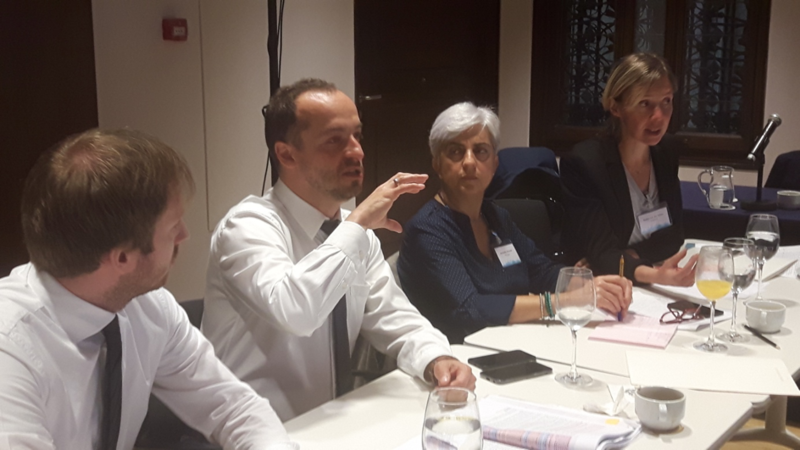 The two Coordinators, Mr Daniel Baliński (representing Poland) and Mr Giovanni Fini (representing Bologna) were supported by Mr Mart Grisel (EUKN) and Mr Peter Wolkowinski (independent trainer/moderator and URBACT lead expert) in the moderation of the meeting. The meeting’s main objective was to discuss, refine and finalise the Orientation Paper. 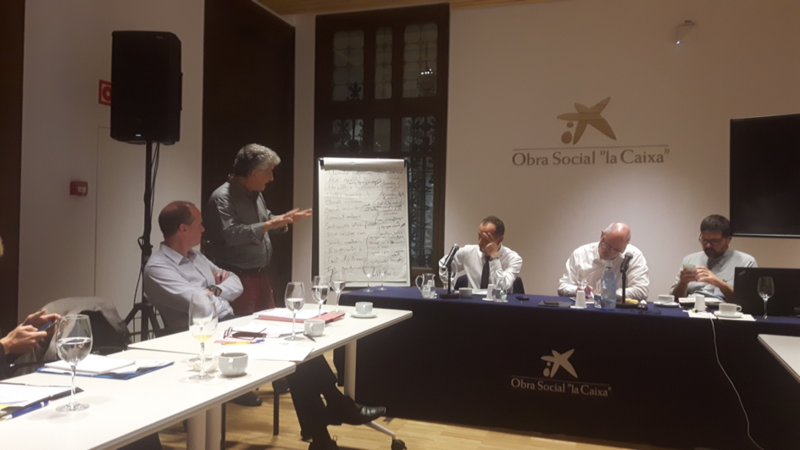 This paper had been developed further with input from the partners by means of thematic scoping fiches after the kick-off meeting.It defines the main thematic areas and focus the Partnership decides to engage in during its three-year work. The meeting participants decided to further strengthen the focus and clarity of the objectives stated in the Orientation Paper, to emphasise ties with other Partnerships, and to better integrate existing and available knowledge, among other things. Next to that, the partners formed working groups on the sub-topics of compact cities/liveable compactness and nature-based solutions to form the basis for work going forward towards the development of the draft Action Plan. Each group moved from a discussion of ideal scenarios to the identification of obstacles and ended with an exchange on potential solutions regarding better regulation, better funding and better knowledge. After the finalisation of the Orientation Paper, the Partnership will continue its efforts in preparing the Action Plan by means of working groups. The upcoming meeting will provide the next opportunity for all partners to meet and exchange on their progress. The next Partnership meeting is scheduled for 18-19 December 2017 in Zagreb. Stay informed via urbanagendaforthe.eu and on Twitter @EUUrbanAgenda. UPDATE: Find the Partnership's Orientation Paper here.